The wagons are circling and make no mistake, Nigerian celebrities are not with Federal Government on this Dracula plan to stop local movies and music production abroad. Charley boy said his, the Okoye's has said theirs and now Ruggedy Baba wants to advice FG. Rapper, Ruggedman writes an open letter to the government after Lai Mohammed announced plans of the Federal Government to impose a ban on shooting music videos and local movies outside Nigeria and their reasons for coming up with such decision. The rapper chose a different part. 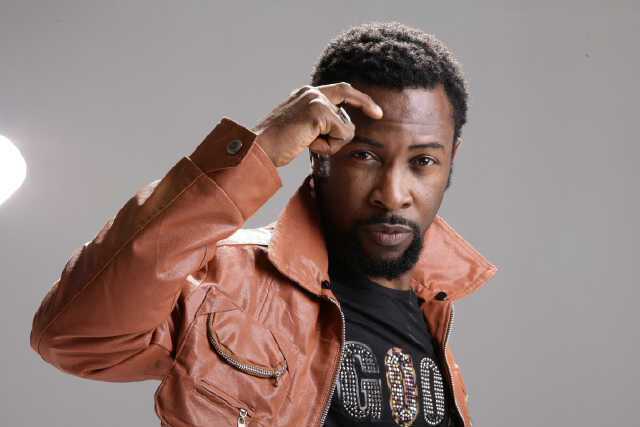 Instead of slamming the federal government over their plans like out celebrities has done, Ruggedman has chosen to highlight reasons why the move is not only wrong but totally out of place. You can not privatise what you do not own or have control over. Meet with real Nigerian entertainment stake holders and not people who have milked our entertainers with their platforms. Meet with the real stakeholders and discuss the way forward. Discuss how the Federal government can get involved with the Nigerian creative industry the right way. It is wrong to try to bully your way into the Nigerian entertainment industry you did nothing to help build. It is absurd to say you will ban entertainers from shooting music videos or movies abroad. Your reason being that we go there to enrich their economy with Nigerian’s money. Not while government officials have their children schooling abroad. Not while government officials all go abroad for medical treatment and vacations . Not while government officials continue to import bullet proof cars that are not made in Nigeria. All these amount to billions of Nigeria’s money being spent abroad. IF YOU WANT ENTERTAINERS TO STOP GOING ABROAD TO SHOOT MUSIC VIDEOS AND MOVIES, THEN GOVERNMENT OFFICIALS SHOULD STOP GOING ABROAD FOR HOSPITALS,VACATIONS AND SCHOOLS. WE CAN USE ALL THOSE BILLIONS SPENT IN FUNDING FOREIGN ECONOMIES TO EQUIP OUR SCHOOLS, HOSPITALS AND OTHER PARASTATALS. Trying to ban private owned businesses (entertainers) from doing part of their business abroad will go against the democracy your party preaches. 1. First of all, shelve the talk of banning entertainers working abroad. It is not what the creative industry needs from the government and it is a terrible look for you. Nobody likes a bully. Since we do not have a proper structure yet, put a hold on your $1m venture capital for the creative industry. You say the money is seed money for young and talented Nigerians to set up businesses in the industry. How do you know the young and talented ones if you do not work with the registered Music and Movie bodies? You will only be enriching a few and wasting money our country needs. So you need to help the existing Music and Movie unions set up a proper structure that can be monitored before you talk about giving money out. Money is needed, but a structure is needed more urgently. I for one know that The President of the Performing Musicians Employers Association of Nigeria (PMAN ) Mr Pretty Okafor and the President of the Actors Guild Of Nigeria ( AGN ) Mr Emeka Ike along with a few executives met with you in Abuja and discussed a beautiful plan to put a proper structure in place for Nigeria’s creative industry. One of the plans that was discussed with you was a conference tagged “Creative Industry Summit” and I see you were involved in a similar event recently tagged “Creative Industry Financing conference”. We are surprised that nobody from the movie or music industry was present to speak at a conference for the ‘’CREATIVE INDUSTRY’’. Sir, the stakeholders who spoke ath the just concluded Creative Industry Financing conference are not Nigerian veteran musicians or Nigerian record label owners. Neither are they from the Nigerian movie industry. 4. DISCUSS WITH ENTERTAINMENT STAKEHOLDERS 1ST, BEFORE BUSINESS STAKEHOLDERS. We did not see the likes of Kenny Ogungbe “Kennis Music” , Tade Ogidan, Obi Asika “Storm Records”, Tunde Kilani, or Eldee “Trybe Records”. These are some of the people who suffered and played great parts in building our Nigerian music and movie industry. But the men at the Creative Industry Financing conferenceare you were part of are individuals who schooled “abroad” and own platforms that have made and are still making money using Nigerian entertainment. But most of the artists whose works they deal in do not have half the money these men have made with our interlectual properties. Sir, these intelligent businessmen can be in an advisory board to help build a structure to enrich both the owners of the intellectual properties and the Nigerian economy. 4. Revisit the plans the new PMAN president Pretty Okafor discussed with you when he and some executives met with you in Abuja some months back. Plans which involve setting up a proper structure to encode and barcode all intellectual materials by Nigerians. For years, Nigerian radio and television stations have amassed billions of Nigeria from using Nigerian artists hard work without paying the artists. This is where you can come in and set up a policy that will make sure they start paying artists whose work they use. They already make a lot of money from adverts placed by companies. Sir, this move will be a ground breaking one in the Nigerian entertainment industry and it will be to your credit. Sit quietly with REAL Nigerian entertainment stakeholders and discuss the way forward. Not with individuals who have milked entertainers through their platforms for their personal gains. Especially the TELCOS. TELCOS sell our songs/ringtones and take 70% while the owner of the work gets to share 30% with a content provider. IF YOU ARE TO BAN ANYBODY, IT IS THE TELCOS WHO DO THIS. Follow the guidelines to curb piracy that the PMAN President Pretty Okafor introduced to you. Which included, setting up a task force empowered to deal with people found dealing in pirated entertainment materials. PMAN is the recognised parent body for Nigerian Music, just as The AGN is to the Nigerian movie industry. Both Presidents are veterans in their fields and are also businessmen. So sir, they undertand both worlds. I am an entertainer and I know a lot of what we lack and what we need. Placing a ban on Nigerian entertainers going abroad to shoot music videos and movies is the last thing we need from our government. Helping our creative industry to build a much needed structure, thereby creating a conducive environment for both local and foreign investors to do business is what is needed. Lets work together to further grow and capitalize on a Nigerian creative industry that has managed to boom without any government policy..
Let the government make policies that will protect and expand our creative industry to benefit the entertainers and the Nigerian economy. But it can not be achieved by brute force. Or sir, you do not want them to come to Nigeria to shoot parts of Furious 9?